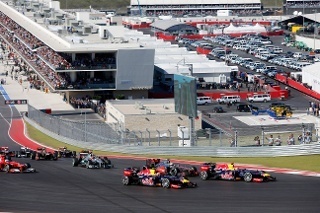 With the first day of the 2016 FORMULA ONE UNITED STATES GRAND PRIX™ right around the corner on October 21st, you must start planning your trip to Austin, Texas. Known as one of the more popular young professional and family-centered cities in the United States, Austin is sure full of life. From its abundant number of lakes and parks for outdoor activities to its nickname as the “live music capital of the world”, your trip to the F1™ USGP will be one of a lifetime. Veracruz Tacos, 2711 La Frontera Blvd, STE 320 Round Rock, TX 7868: Check out this hot spot featured by Rachael Ray and Rolling Stone serving fresh tacos, homemade salsas, and authentic tortillas and chips. Boiler Nine Bar & Grill, 800 W Cesar Chavez Street Austin, TX 78701: Located in downtown Austin, this art deco styled bar & grill isn’t one to miss. Visit them for Brunch. Lunch or Dinner to enjoy tapas style dinning. Forthright, 98 San Jacinto Blvd Austin, TX 78701: Serving Breakfast and Lunch with a relaxed style is the name of the game for Forthright. If you need a place to relax and/or enjoy a well prepared meal with straightforward ingredients, this is your place! Wu Chow, 500 W 5th Street Austin, Texas 78701: Looking for classic Chinese dishes while in Austin? Check out Wu Chow! With their eclectic dining and relaxed atmosphere, it’s no wonder this restaurant lands on the hottest places to go in Austin. Lady Bird Lake Hike-and-Bike Trail: Hit the outdoors and explore this lush green park and peaceful lake. Walk, bike, ride or just sit and relax at this amazing spot in Austin. Haunted Austin and Bat Bridge Segway Tour: Explore Austin’s haunted past and visit the bat bridge while learning more about the history behind what makes Austin, Austin. Sixth Street: Find all the nightlife that Austin has to offer on sixth street. From live music, to historic venues this downtown spot is the place to be! the Marriott Round Rock offers exceptional amenities for their guests. Relax in your hotel room with the comfort of plush mattresses and down comforters, while enjoying their well-known RC Grille which is open for breakfast, lunch and dinner. Don’t forget about the indoor pool and fitness center located on the property, making this accommodation choice ideal for any traveler. Sheraton Austin: Looking to be in the middle of it all? Then the Sheraton Austin is yo ur most promising choice - located only 18 miles from the Circuit of The Americas™ Austin Track and just steps away from Sixth Street/Warehouse District and the University of Texas. With two different dining options and well-appointed bedding, this hotel option makes your stay as comfortable as possible. 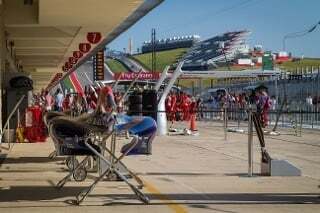 As the only exclusive provider of ticket packages available through Circuit of The Americas™ program, Grand Prix Experiences is the package provider to go with! From our Legends Club access with Q&A sessions with Alexander Rossi, privileged viewing positions along the track and gourmet fare – this is not something you want to miss!